The Samford Athletics Department is now taking nominations for the 2018 class of its newly-formed Hall of Fame. All nominations received by Oct. 20 will be considered for the 2018 class. Nominees can come from four categories: student-athlete, team, coach or contributor. Student-athletes must be at least five years removed from their playing days at Samford to be considered. Once a nominee is submitted, they will remain under consideration for the Hall of Fame indefinitely. 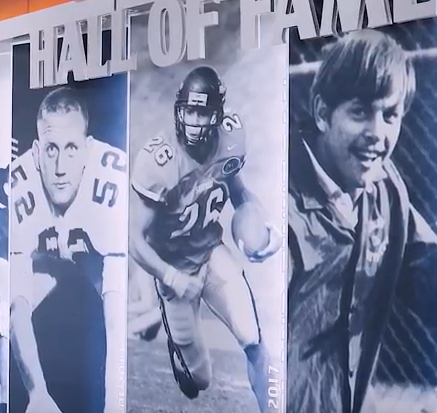 The Samford Athletics Hall of Fame, which is located on the third floor of the Pete Hanna Center, opened in the spring of 2017 with the induction of its inaugural class. The first class included Walt Barnes (basketball), Lauren Blankenship (track/cross country), Bobby Bowden (football), Wally Burnham (football), Cortland Finnegan (football) and Charlie Owens (tennis). The 2018 induction ceremony will be Feb. 17.